Opulence abounds in the radiance of both the wood veneer pattern and finish on Halton Park. 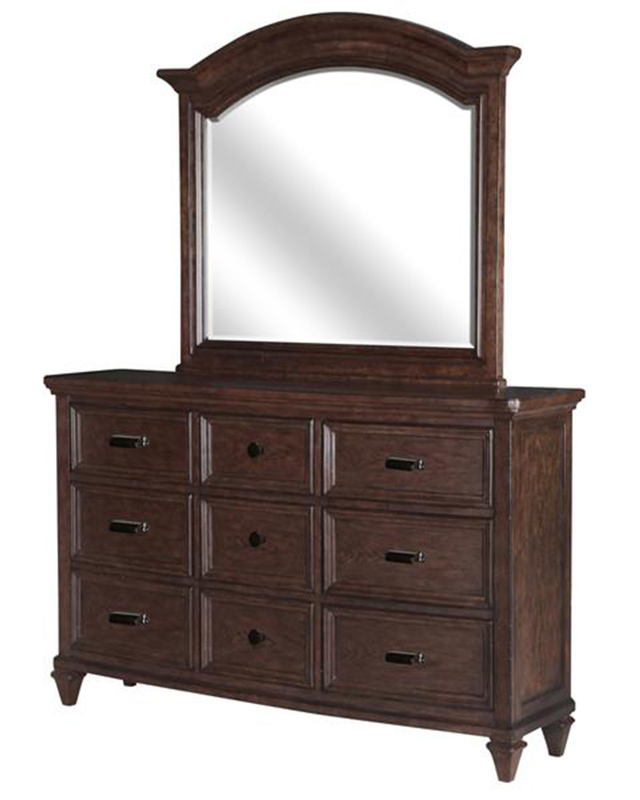 The Chestnut Brown finish has outstanding depth and richness that expertly highlights the gorgeous radiance design of the Walnut veneer on the bed and chest tops, creating an elegant inlaid fan pattern. If the splendor of the inlay craftsmanship weren't enough, the execution of bowed shapes found throughout the collection, from mirror to headboard to case tops, is yet another example of fine design. All cases are finished with weathered bronze knobs and bin pulls and sitting atop a beautifully square tapered foot.